LED laser light projector decorates your home! 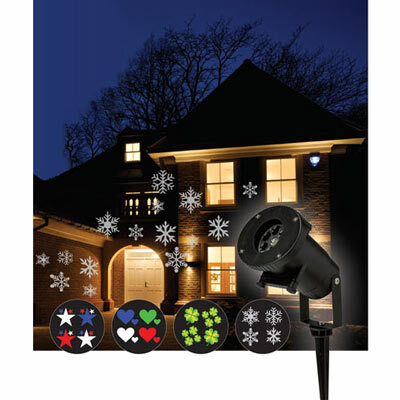 Promotes the spirit of your favourite holidays or seasons, including shamrocks, stars, snowflakes, leaves, hearts, Halloween, birthday balloons, fireworks and butterflies. Weather-resistant. Includes 15½ ft. cord, AC adapter and 12 slides. Stake 6½"l.